“Unless you are a vegan (most pro-‘lifers’ are not) you are in no position to object to abortion,” he asserted in another Tweet regarding whether animals can feel fear. On Thursday, Dawkins issued what he called an apology for his statements, remarking that his “phraseology may have been tactlessly vulnerable to misunderstanding,” but stood by his recommendation that mothers abort their Down Syndrome babies. 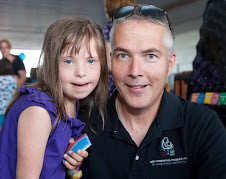 But Kurt Kondrich, whose daughter Chloe inspired Pennsylvania’s Down Syndrome Prenatal Education Act, told Christian News Network that he was appalled by Dawkins’ comments. In 2003, Kurt and his wife Margie learned that they were pregnant with a Down Syndrome child, and became horrified when they learned that approximately 90 percent of women abort after receiving the diagnosis. Kondrich soon left his career in law enforcement and began advocating for greater education and support for mothers, so that they would not abort their babies because of the condition. 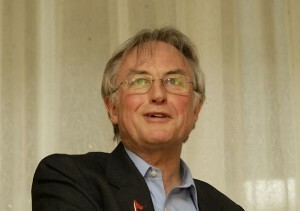 He stated that Dawkins’ comments are akin to those made during the Holocaust, when the undesirables were eliminated from society. Kondrich explained that mindsets such as Dawkins present a slippery slope that makes virtually anyone a target for elimination. Kondrich said that while Dawkins asserts that it would be “immoral” to give life to a child with Down Syndrome, he believes that on the contrary, it is because of the deepening immorality of our society that Dawkins even made such a suggestion.